264 pages | 4 B/W Illus. This innovative new resource outlines the process of conducting individual and group therapy online with the use of video conferencing tools, and explores the unique concerns associated with this increasingly popular and convenient approach to treatment. Offering therapists a definitive presentation on how use online tools to facilitate psychological intervention, the book will also enable readers to learn about the processes of virtual individual and group therapy, specific concerns related to online group dynamics, as well as the responsibilities of the therapist and group leader in online sessions. This is the perfect companion for mental health practitioners of all backgrounds and disciplines who are interested in offering or improving their approach to virtual services. 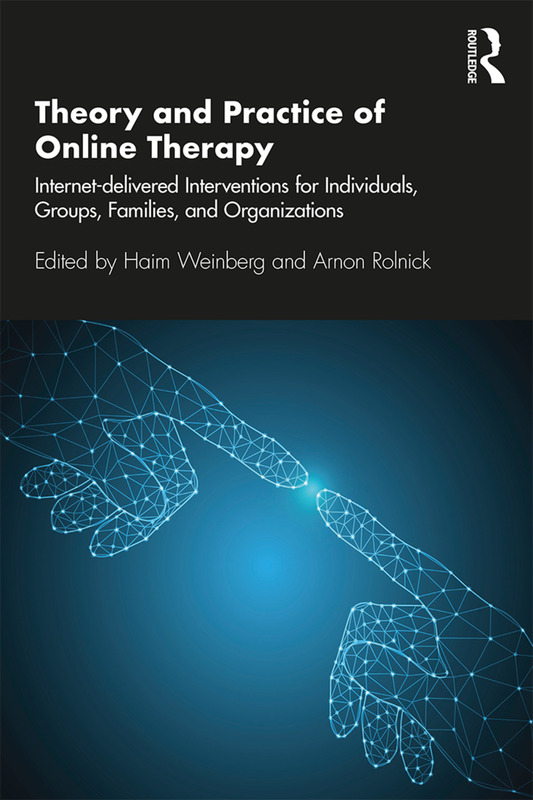 Part 2: Online Couple and Family Therapy - edited by Shoshana Hellman & Arnon Rolnick…..
Haim Weinberg, PhD, is a clinical psychologist, group analyst, and certified group psychotherapist. He is the past president of the Israeli Association of Group Psychotherapy, the president-elect of the Northern California Group Psychotherapy Society, and a faculty member of the group facilitators training program in Tel-Aviv University, Israel. He now teaches at the Wright Institute in Berkeley, CA, and the Alliant International University. Arnon Rolnick, PhD, is a licensed clinical psychologist with special interest in the usage of technology in psychotherapy. He is a certified supervisor in CBT and biofeedback and wrote numerous articles on these subjects. Arnon is the head of a clinic in Tel-Aviv, Israel, which integrates various psychotherapeutic approaches.